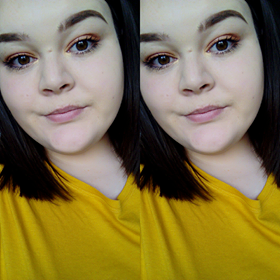 Ok so let me first start off by saying that as much as I love makeup (which is a LOT) I have very little experience in taking and post "make up pictures" So I thought id just go with taking a few selfies. I mean I'm sure ill get the hang of it once I get into it, but for now selfies will have to do. I wanted to do something a little fun, I started by applying my normal face make up, being foundation, powder and bronzer. I used the too faced sweetheart bronzer as I love the glow it adds. I added a pink shade in "1985" from the urban decay vice 4 pallet. I then tackled my brows using the darker shade from the urban decay brow box. After that I used an Avon eyeliner and marked where I wanted to put the dots above my brows and added a little glitter. I also went under my brows with the glitter to add a bit more sparkle. I added two lines between my brows, and as I had no white eye liner I used eyelash primer to add the 3rd line. After that I covered my lips with the blue, to give it bit of an edge. 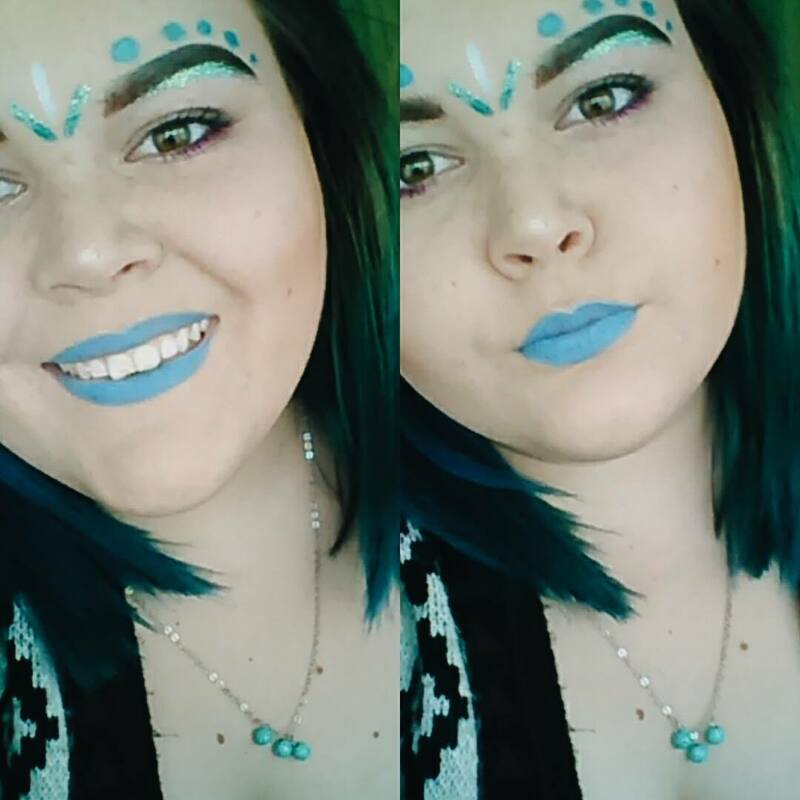 I'm am loving blue lips right now!! What summer looks have you been creating this year?